What is more determinant for the geographical distribution of a species: its dispersal, or the geographical barriers it encounters? 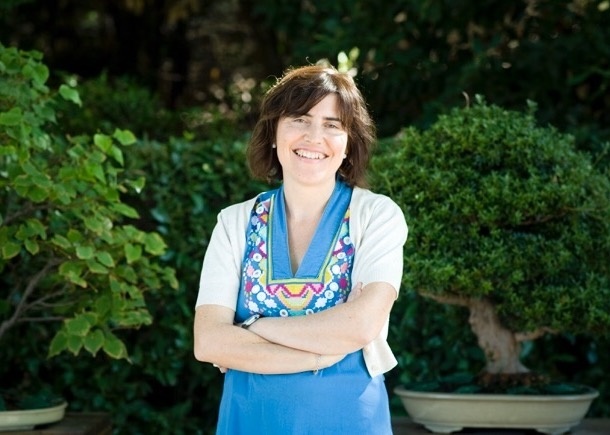 The answer is far from straightforward and represents an ongoing debate in historical biogeography, to which Isabel Sanmartín (Real Jardín Botánico de Madrid, Spain) dedicates her research. 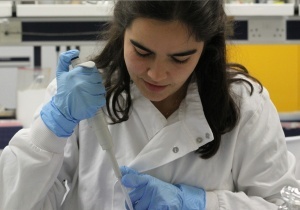 An enthomologist that started working on botanics along the way, in this interview Isabel Sanmartín talks about her work of reconstructing the past by using data about the present distribution of species, and reflects about the main trends and challenges she sees for this research field in the near future. In your research, you use data about the present to try to reconstruct the past. Is it fairly correct to say that you are, in a certain sense, a historian of Nature? That is a nice definition. That's the main difference with the other side of biogeography, ecological biogeography, which deals with the present and what we see now. They are more interested on explaining current distributions and maybe predicting where they may be in the future, whereas we look into the past. That must be a challenging task, because you deal with very large time scales. What are the tools you can use to get that knowledge about the past? Basically we use phylogenetic information. We have the present distributions and the phylogenies - the evolutionary relationships among taxa. In the past we use morphology-based trees like cladograms, and now we are using DNA to try to reconstruct those evolutionary trees. Those are the basic datasets we use. Recently we have also added new sources of information, as fossils or geology, and even paleoclimate. So, historical biogeography joins together many different research areas. It does require a lot of communication between scientists of these different areas, right? Yes, that would be the idea. But I will say that that has only come to be realized recently. In the past, for example, we didn't have much contact with paleontologists, so there was not a good link between the two sides, even though they also try to understand the past. But right now I think there is starting to be a good bridge between the two disciplines. And as you mentioned before, we, historical biogeographers, deal with long time scales; and as we go deep into the past, we have less and less data, so we are more reliant on paleontology. What can be considered more important to determine the geographical distribution of species, if we can say if that way: is it the dispersal of a given species, or the geographical barriers that it encounters? That is a big question in biogeography! [laughs] That's the basis of the heated debate between dispersalists and vicariancists [supporters of the formation of the geographical barriers as the main factor to determine the geographical distribution of species], and the focus has changed over the last few decades. In my view both are equally important: it depends on the group you are studying, on the time-frame, and the type of question you want to answer. For example: if you are dealing with an ancient group that evolved over periods of millions of years, you need to consider the effect of geology and plate tectonics on geographic distributions, such as plate collision or the opening of new ocean barriers. In other words, the geographic template you observe now is not what it was in the past: the continents were not where we find them today. But if you are dealing with more recent temporal scales, then you need to consider dispersal over ocean barriers as a possible explanation. And in my case, that I work with plants, dispersal is a very important process and shouldn't be dismissed. Why have you chosen plants in particular as your object of study? Yes, is a long way! I did my PhD thesis on a group of beetles that were feeding on plants, on olive trees. This group was Mediterranean, so while studying its spatio-temporal evolution I became interested in biogeography: that was the starting point. 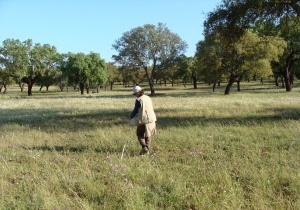 Later on, when I moved to Sweden I began working with botanists: because I was coming from the animal background, and dealing with ancient groups, I found it really interesting to go to the other side and work with more recent plant lineages. 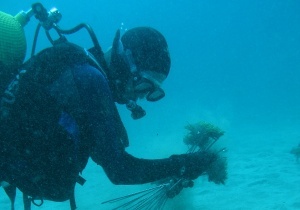 Plants, in general, are better dispersalists because of the seeds that can be moved around by winds or ocean currents, so I found that dispersal was more prevalent in plant patterns than in animals. It was kind of a challenge for me to address this, and later on, because of family and work-related logistics I ended up working on plants at the Real Jardín Botánico in Madrid. But I am not a botanist by training. From the biogeographical perspective, do plants and animals behave differently in dispersal and in entering a new habitat? Yes. I mean, it is probably a bit of a generalization, but it's something that I found interesting when I started working on biogeography. In 2001, I wrote a paper [Sanmartín et al. 2001] on the biogeographic history of the Northern Hemisphere, which was based mainly on insect distributions, and the patterns I found were very congruent, they matched very well the geological history of the Holarctic continents. Then the study was later repeated in plants by some American botanists [Donoghue & Smith, 2004] and they found somewhat different patterns, which could be explained by more recent dispersal. That was the starting point of the idea. A few years later I repeated my study with the Southern Hemisphere [Sanmartín & Ronquist, 2004]. I compared animals and plant phylogenies, and I found again that animal patterns showed a good match to plate tectonics. But in plants dispersal was more prevalent: many of the patterns could be explained by later dispersal crossing ocean barriers. So the idea came: Do animals move less often but once they are in place they change and evolve [giving rise to new species]? 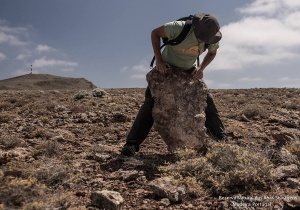 Plants, on the other hand, are more easily moving around, so they tend to reflect more recent patterns because the signal of plate tectonics on their distribution has been obscured by long-distance dispersal. On the other hand, plants are more dependent on the environmental conditions, once it arrives the seed needs to germinate in the rigth soil and temperature. That's a generalization that needs to be tested properly, and one of the ideas behind my current work. One of the questions to which you have dedicated your research is why is there an increase in overall species richness as we more from the poles towards the equator. What are the conclusions you have reached concerning this question? Yes, that pattern is called the Latitudinal Diversity Gradient [LDG]. It is not my idea, it has been discussed and studied for many centuries. The LDG pattern has mainly been addressed from an ecological viewpoint, but more recently it has been studied by historical biogeographers like me. The main conclusion is that there is no conclusion. There are many different underlying explanations. One of them is of course ecological: there are more species in the tropics because of higher environmental stability close to the equator, higher precipitation and temperatures favoring larger ecosystem productivity. But other explanations are historical or evolutionary because, as I said before, the position of the continents in the past was not as we observe them today, so maybe they have not been always climatically stable. One evolutionary explanation is that many groups showing this pattern originated in the tropics and only recently moved into the temperate regions; so, because of the time-to-speciation effect, you expect to have a lower number of species in the temperate regions than closer to the Equator. But even this explanation has been challenged: there is conflicting evidence just showing the opposite pattern, some groups are actually more diverse in the temperate regions than in the tropics and they are also ancient. So it is still an open question. Yes. I think it must be addressed both from the ecological and the phylogenetic or evolutionary viewpoint. Climate and environment are important but, as I mention, we live in a dynamic Earth, in which geography and climate have changed over time, and you need to take into account those dynamics when you're trying to make inferences about what you see today. 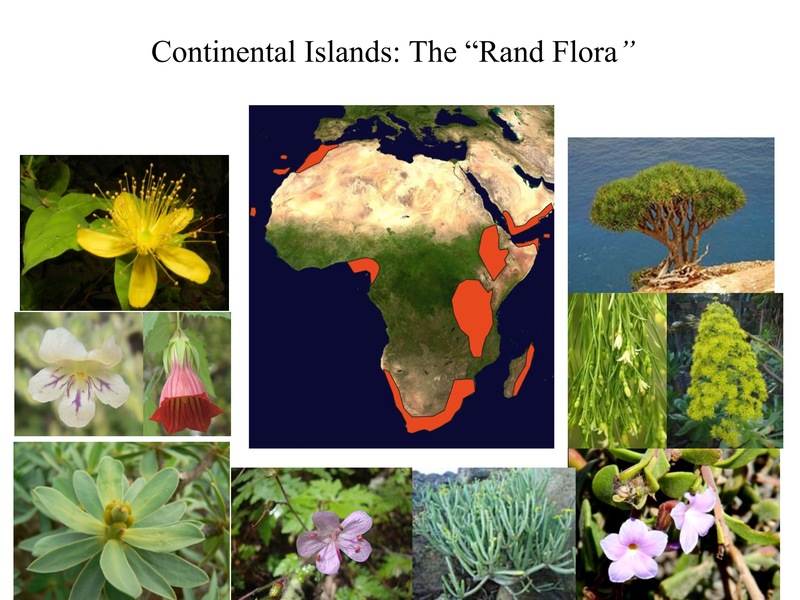 Another evolutionary puzzle to which you have dedicated your research is centered on a continent: the Rand Flora in Africa. It consists of plant species that are related but distributed only in the rim of the continent, right? Yes. We call it the "Ring Flora", because the pattern resembles a ring, with species distributed in the margins of Africa, leaving the center of the continent "hollow". The name actually comes from the German word "rim” or “edge”. As you just said, it is a pattern relating different families of plants, angiosperms or "flowering plants" -, and that's what is exciting about it: these families are not closely related (for example, geraniums, bellflowers, and so on) and yet all of them show a similar pattern of distribution in which a species is present, for example, in the Canary Islands and the sister-species lives in the Island of Socotra, on the other side of the continent. Other species are endemics to the Ethiopian Highlands, in the distant Eastern African mountains, and some to South Africa. Courtesy of Mario Mairal & Isabel Sanmartín. And is there already an explanation for the origin of this pattern? 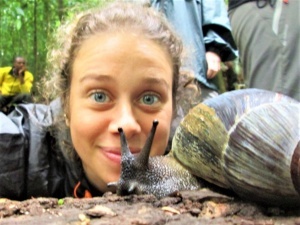 As always in biogeography and biology, there is not a single explanation [laughs]. The traditional theory is that the pattern was formed by climatic extinction. There was an ancient flora living in Africa around 50 million years ago; then, as Africa broke up from the rest of Gondwana and moved towards the Equator, the continent underwent an aridification process that probably led some plant taxa to extinction. So what we observe today as the Rand Flora pattern is the remains of that ancient flora, relictual groups that live in the margins of the continent because those areas are climatically more stable for these plant lineages. But that is the traditional hypothesis, and what I want to test. Another hypothesis is that the pattern was formed by more recent long-distance dispersal among those regions. One of the aspects that attracted me on the Rand Flora pattern was the idea of large-scale extinction, that is, extinction that takes place at a large spatial (continental) and long temporal scale, because the aridification process in Africa is still going on. It is still necessary to compare and investigate the two explanations. Yes. Going back to the Latitudinal Diversity Gradient: one explanation that hasn't been considered in enough detail is extinction. Extinction is generally a process that hasn't been given the importance it deserves in biogeography, basically because it is so difficult to study: there is no evidence of extinction in the phylogeny [the species that goes extinct leaves no trace]. So, one aspect I am addressing with the Rand Flora project is whether we can find the phylogenetic signature of extinction in those groups, and develop analytical tools to infer climate-driven, large-scale extinction. In this case, extinction does not affect only one species or family, but a whole biota formed by families with different ages, origins, and morphological adaptations. It is challenging; we don't know yet how we will do it, but it is something we aim to. I see that you are very enthusiastic about your work, and you are also actively involved in communicating it to the public. Do you find obstacles when you communicate your research to the public? I will say that I am not really very good in communicating, because I struggle to find ways of making my field attractive. I think that we, as scientists, are not really well-trained on communicating our research, on what we call educational outreach. That's something I try to do, but I won't say that I am really very active. I have written over the years several general-scope papers to introduce my field, and that was because I felt that there was not a good review paper summarizing its main achievements and challenges. Biogeography is a synthetic discipline, which has grown very fast in the last decade, and you need to be very active to catch up. To summarize: what do you see as the major trends for historical biogeograohy for the near future? So, greater and greater integration of knowledge. Yes, greater and greater integration. And for that, we need more sophisticated analytical tools: it was only with the advent of probabilistic models in biogeography that we have been able to do this integration in a more analytical way. This has been actually very important for moving forward, but it has not been available until recently. You know, the birth of probabilistic biogeography has been in the last 10 years, so it is a very recent discipline. I would like to leave an invitation to biogeographers for a better integration among disciplines, especially between ecological and historical biogeography, but also between the latter and paleontology. There is a late trend towards more integration, but maybe we need even more and it must go in all directions. For example, we [phylogenetic biogeographers] have typically focused on the spatial (migration) aspect, dispersal versus vicariance, but have been quite ignorant about the importance of considering the ecological side, such as as adaptation to the environment by evolving new biotic traits. On the other hand, I think for ecological biogeographers there has been too much focus on predicting the outcomes of climate change using only extant distributions and current environmental conditions. Since climate and geography have changed so dramatically over geological history, we should consider that maybe the group has undergone climate change in the past and developed some kind of evolutionary resilience, which might help them to cope with current climate change. And genomics is another aspect that I would like better integration in biogeography; it provides the link between adaptation and evolution, how genes function and evolve. Yes! [laughs] I think it is a good time to be a biogeographer. Isabel Sanmartín was plenary speaker of the international congress Island Biology 2016, organized by the Azorean Biodiversity Group - cE3c.